At some point, however, I started feeling more sympathetic and even appreciative of their perceptions and inquiries. As I worked to understand INJs’ experiences and perspectives, as well opened myself to their psychoanalytic probes, I began seeing the merits of their efforts. In this post, I will attempt to describe and explain some of the key aspects of INJs’ attempts to analyze and facilitate growth in others, especially in their intimates. I realize that this material may not hit home for all INJs, as it primarily applies to those with pronounced psychological proclivities. ENFJs and ENTJs with a strong psychological bent may also resonate with this post. 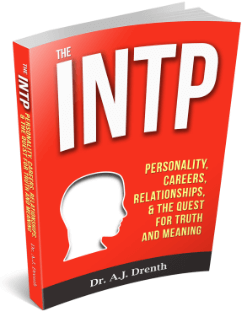 In attempting to understand INTJ and INFJ types, we must always keep in mind that their primary function is Introverted Intuition (Ni). Thus, when perceiving that something seems “off” with one of their intimates, they are not responding to specific sensory (S) data, but to a general impression generated by Ni. At this point in the process, INJs don’t have enough information to know exactly what is going on with their intimate. All they know is their intuition has raised a red flag, marking a deviation from the individual’s typical presentation. This is usually enough to prompt the “Is something wrong?” inquiry from the INJ. If their intimate proceeds to claim, as I have on many occasions, that nothing is wrong, INJs are left with a rather troubling and difficult decision. Should they double-down on their intuition and offer the “Are you sure?” response, or should they try to let the whole thing go? 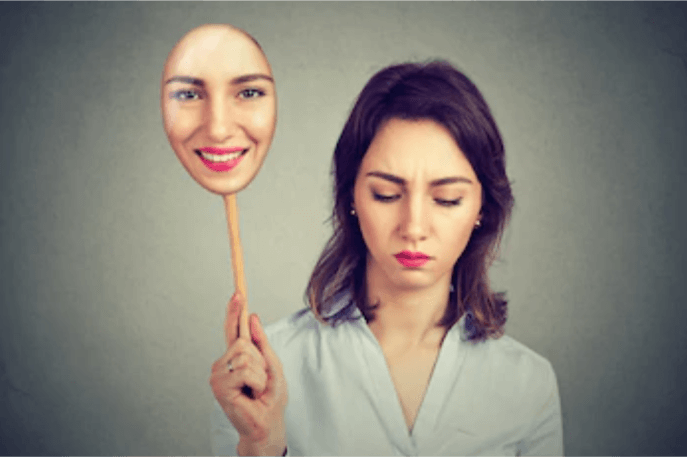 Opting for the former runs the risk of irritating or offending their interlocutor, while the latter involves foregoing a potential opportunity for growth and insight. With time and experience, INJs can usually determine which of these options is best for a given situation or individual. Even if their intimates initially try to dismiss INJs’ sense that something is wrong, they may eventually let down their guard and be willing to explore whether the INJ is onto something. We should probably mention that simply being willing to participate in such an investigation is itself a sign of psychological maturity, as it requires considerable humility to concede that another person might be seeing things in you that you yourself are blind to. To be clear, the decision to oblige the INJ doesn’t always mean one is doing so eagerly. Indeed, the INJ’s intimate will often carry some measure of frustration, resistance, or skepticism into the process. This negative energy may at times ignite a confrontation with the INJ, but this isn’t necessarily a bad thing, as confrontations can liberate repressed feelings which can then be analyzed and integrated. Skillfully-handled conflicts can also engender a surprising sense of relational closeness and intimacy. Although it can be hard to unequivocally know whether the issues comprising the conflict were responsible for triggering the INJ’s initial red-flag intuition, in the end, both partners are often thankful for the renewed sense of closeness procured by the conflict. Another challenging aspect of dealing with INFJ and INTJ types is what I’ll call “the INJ hammer.” Here I am alluding to Abraham Maslow’s famous notion, “If all you have is a hammer, everything starts to look like a nail.” Allow me to explain how I’ve seen this play out in INJs. A key element of Ni, which we have yet to discuss, is its propensity for achieving theoretical and methodical convergence. Namely, the more INJs see a given pattern repeat over time, the more convinced they become of its theoretical veracity. 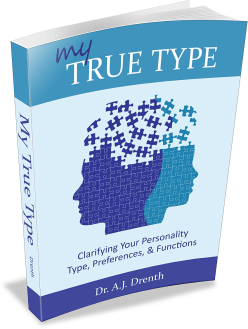 This is why INJs develop a strength of theoretical conviction that is hard to find among NP types, a point which I unpack in my books, My True Type and The 16 Personality Types. INJs who are convinced of the validity of a given theory or approach may quickly transition from their initial sense that “something is amiss” to interpreting the problem through their own theoretical lens. If the INJ’s intimate happens to agree with the theory, then it may prove unproblematic. However, when intimates don’t agree or consider the theory irrelevant to their situation, it can feel as though the INJ is imposing an interpretation on them that they didn’t really want or request. Of course, much of the same thing could be said about all J types (although SJ types are admittedly less inclined to psychoanalyze their partners than NJs are). The fact of the matter is simply that J types will at times render unsolicited judgments colored by their theoretical orientation. We needn’t concern ourselves here with whether INJs’ theories / approaches are objectively valid. What matters most, for our purposes, are the respective perceptions of the involved parties, which are as follows: 1) INJs believe that their theory / approach is valid and worth employing. 2) Their intimates sometimes feel as though they’re being picked on or unduly scrutinized, serving as the INJ’s most convenient nail if you will. The last thing I’ll mention about Ni is its deep distrust of surface appearances. Of all types, INJs are the least apt to trust that those who look happy are in fact happy. This is another reason why intimates can be taken aback when the INJ suddenly begins questioning their psychological well-being. “If I look happy and feel happy aren’t I, in fact, happy?” they might think to themselves. Some may even see INJs as a bit paranoid because of their inability to take things at face value. INJs’ distrust of appearances can also have a buzzkill effect. For most personality types, feeling happy or euphoric is a time for celebration, not deep analysis. But for INJs to authentically partake in such a celebration, they first want to ensure that the foundations of one’s ostensible happiness are both healthy and sustainable. If they prove to be illusory or unstable, the INJ may struggle to find a genuine reason to celebrate. 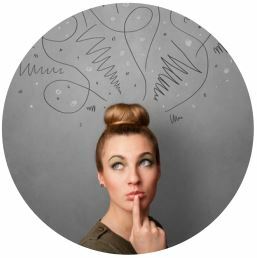 INJs’ preferred psychological approach typically falls under the “depth psychology” umbrella, aimed at “making the unconscious conscious.” I can honestly say that I’ve never heard an INJ recommend anything resembling “positive thinking,” as this is perceived as far too facile to pass muster with Ni’s depth-orientation. I have, however, heard more than one INJ describe his approach in terms of psychology surgery, that is, performing repairs on deep structures believed to impact the health of the entire psyche. Other types may wonder if such deep repair work is even feasible, let alone a good use of time. Rolling their eyes at the INJ’s inability to leave well enough alone, many would prefer to pop a pill than embark on an intrapsychic wild-goose chase to fix something they can’t even see. This is why NP types can seem like a god-send for INJs. Armed with curiosity and a shared preference for abstract thinking, NPs are the most common enlistees in the INJ’s psychological experiments. It is important to recognize that INJs who routinely don the psychoanalyst’s cap typically do so with good intentions. They truly believe it is important and worthwhile to help their intimates become more conscious and to deepen their relationships with them. Moreover, most INJs have discovered that the vast majority of people simply aren’t willing or ready to hear certain hard truths about themselves. Consequently, INJs are thrilled when they finally encounter that rare individual who is open, mature, and courageous enough to grant them entry into her inner world. So even when intimates feel like they are being unfairly subjected to the INJ’s refining fires, this is typically because the INJ greatly believes in their worth and potential. To other types, it can sometimes feel like INJs are seeing things that don’t really exist. To move beyond this initial skepticism, one must either have an ample measure of faith or curiosity. As an INTP, I’ve historically been animated by the latter, sensing that something interesting is bound to emerge from the psychoanalytic process. With time and experience, trust can also develop, as one begins to see the benefits of regular engagement with the INJ, most notably: growth, insight, and intimacy. Unsure if you’re an INJ type? 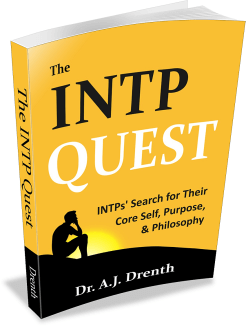 Hello Dr. Drenth, Would you mind writing an essay on the integrative state as perceived internally by an INTP? I’ve been trying to realize what Jung meant by integration and as it is discussed today. There are times when I feel moving towards Soulful wholeness but then a lot more the feeling is one of being lost. I would say that I have found my purpose, and even though I don’t yet know the path towards performing it I try to work on this each day. And yet I don’t understand what it is I’m seeking with integration. Is it wholeness or the realization that I was never separate, only hidden from myself? Thanks for the above article, I immediately recognized one of my friends in it. They are always second guessing their states of happiness and asking what bad time is around the corner. So how does an INFJ engage Ni in a healthy non relationship oriented way? I’ve found only NPs really appreciate my depth of insight but it does put strain on my relationships at points. Totally on target, and as you described, I am highly tuned INFJ. To have these traits honed, and use them for the greater good without worrying who will run (as we are probably trying to weed out the mix anyway) it is the unconscious that a professional INFJ is ferreting. Anyone lucky enough to have a friend like this can reap great rewards and growth in this lifetime…and the world will heal as well. Wow. This is exactly the dynamic I’ve experienced with my INFJ SO. I am an INFP so, I guess, more open to this than most types. But it is seriously painful and I honestly dread the, “What’s going on with you?” question, as much as I’ve come to realize it’s ultimately for the greater good. I always wonder if there’s a way to get there that isn’t so much like surgery without anesthesia. At least in my own case, some of the need to ask comes not just from a sense of wanting to impose growth on the other person, but as a means of security for navigating the world correctly. If something seems off but the other person insists it isn’t, and they are close to me, it leaves me somewhat adrift in how to respond or interpret the situation accurately and know what my role is. This is especially true if their change in manner persists. In that sense, I can see how it is very frustrating to others. But I would prefer an accurate interpretation from them rather than me going with my best guess and grossly misinterpreting what’s really happening. I’ve gotten better over time at bringing it up but letting it go if they don’t want to talk, but it took a number of situations for me to be able to describe what was happening and why. My mother is an INFJ. I barely survived her. I was always her project. I was never good enough. I was always flawed. I always needed her help. She was a controlling, overbearing bully and she did tons of damage while “helping”me. As an INFJ, thank-you. Describes me perfectly…. It’s hard being INTJ. People aren’t REALLY happy to see me, but they are always interested. How lonely to be a mere human reagent or catalyst….at least I understand. I agree with Fidelia above, regarding the need to accurately perceive and navigate. I will ask about changes in people’s demeanor to keep from making an error in dealing with them, rather than to assist in clarification for any other purpose. Thanks for your work. It is beneficial, if not uplifting. This is a good exposé of INTJs’ methods. The analysis is always double-edged: it serves to make sure that I’m not going to paranoia-land, but it is also used as a way to get relief from the boring concrete reality. You explained it well when you said a happy INTJ is one on a mission to find the root of a problem and solve it….itch by itch. Most people (the SJs) find that TIRING and inconvenient. Even the SPs, who seem to be rolling their rock, find this disruptive because, let’s be honest, they are one-track-minded in their sensory pursuits. I think NJs in general want to get to the bottom of things, and when you couple this mindset with dominant Ni, you end up with someone who not only perceives convoluted patterns from anything and everything, but is also hell bent on arresting the meaning of these and figuring out how they can be used to optimise/reshape the reality, in a specific way. 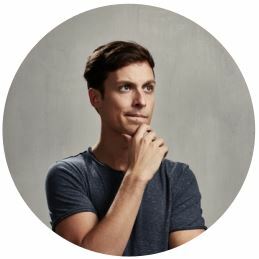 I feel lucky as an INTJ because my crack cocaine is problems within systems (theories, whether applied or not): I’m a natural engineer with a scientific edge. Whereas INFJs want to solve people, which are much more unstable physiological/psychological systems: it makes a recipe for going nuts in the long run, in my opinion. As an INFJ married to a psychotherapist, I find my insights welcomed usually, so I have been given no reason to see them as a negative, as it does not impact us that way. My husband gives me plenty of his observations about me too (S), the difference being that he collects them over time. We are both pushy in our belief that we are right (J) but can debate robustly with each other. I have come to respect over time what his beliefs are, so I need to communicate more sensitively around those areas, as I believe he does with mine. I find with other relationships that are close, I often think it but don’t say it. I make mental notes then ask leading questions. I do understand that others find my observations about them, intensity in relating and desire for eventual truth quite intimidating and scrutinizing, so my approach tends to be, only do it if it is really necessary. I think an INFJ with a strong Fe cares how they are received by others whilst also wanting to stay true to their insights. This describes me perfectly and I’m an INFJ. Someone not feeling right, I straight out ask if they are fine. The “are you sure?” also happened a couple of times. But I’ve learned that sometimes letting the other person( my best friend- in some cases, my parents in others) take care of it themselves has also been rewarding. I have learned to trust that they can come talk to me and I usually leave them come to me, if the initial query of “are you okay?” leads to silence. I remind them that they can talk to me and I’ll be there. I’ve come to understand that there are certain problems I can’t help with. Letting them handle it on their own works most times. But if the situation persists, that is when i start being insistent. I want to know everything that happened- every detail, every gesture. I also came to understand that even if I gave an analysis on why something happened the way it did and how to come out of it, most people aren’t usually receptive as you mentioned in the post. Most people don’t understand why the surgery needs to be done. So what works for me doesn’t actually work for everyone else. It really is saddening sometimes not being able to help. But sometimes when people handle it on their own, there is also a bizarre sense of pride. The feeling of accomplishment is greater when they come and tell me how they handled it. But the question is: can we really afford to set boundaries like I did, by letting them handle it themselves? The answer i found to this question is that I’ve come to measure their level of “not okay” and have somehow started to calibrate that scale. But sometimes I still worry, if I got the scale wrong. Thank you for all these new vocabulary words!! Amanda Stevens’ experience matches mine so exactly I’m going to paste it here. My mother is an INTJ and I am an INFJ. It’s hard to estimate the full extent of the damage this attitude did to me as a child. It was a profound violation of boundaries. To refuse to accept another’s refusal to share, to hound them relentlessly in the name of personal growth–because the INJ’s conviction is that the greater good, self improvement, overrides personal autonomy, is abuse, plain and simple. At least, it was in the context in which I grew up. I laughed throughout reading this post, its accuracy was undeniable. As an INFJ I could not have felt more seen as this has been a constant struggle in my relationships, where I’ve for the longest time been a “hammer” on the look out for “nails”! Luckily for my albeit willing and supportive INTP husband, studying to be a psychotherapist is helping me moderate and refine this tool into what I hope is something far more pleasant to live with. I can only imagine I’d have driven him and everyone else I love bonkers in the long run otherwise! It has been eye-opening to learn about the importance of psychological defences, and with a greater respect for them I can now hold my tongue much better. Thank you for an additional piece of the puzzle, it’s so helpful to know where personality comes in on receptiveness to this particular personality quirk of mine. Helpful article, especially the last section on INJ distrust of superficial methods. As an INFJ, that resonated deeply. In my opinion, the second section on the INJ hammer depicts a young or not fully developed INJ, who is rigidly trying to make a square peg fit a round hole. Let me explain. All INJs at any stage of development can find themselves accurately intuiting that *something* is at play, though our intial interpretation of what that something is may not be accurate. 1. The pattern we believe we are recognizing is accurate, but our intimate has not yet recognized it. 2. The pattern we believe we are recognizing is not accurate, and this is an opportunity for the INJ to learn, grow, and refine the network of patterns we’ve internalized about life and our loved one. Either way, INJs can humbly seek to better understand our intimate’s experience and perspective at a pace that feels right to the intimate. Are you sure you are describing introverts? I am an INTJ. What I don’t like about the appearance of others is when they try to dismiss, invalidate, or reject me with a blatant negative expression sometimes accompanied with a scrunched up face and a violent shaking of the head. I don’t ask these individuals how they are doing or if something is wrong I usually consider that there is definitely something wrong inside their brain and that they are projecting their issues onto me. The next thought typically is, what is it that is strikingly incongruous about that individual? It is usually something pretty glaringly obvious, once I am motivated to stop and consider. Whether or not someone is genuinely happy or simply putting on a false smile is usually obvious and not worth mentioning. What is it about certain people? I got on a train with three other people. A man was sitting in a wheelchair blocking the aisle with a blanket in his lap and a scarf wrapped around his face. Once the train doors closed it became obvious that the man was seated in urine soaked pants and the whole train smelt of piss. When I got off at the stop and found that a very large waiting room had many chairs in an area that was empty of other people. I took a seat where it was peaceful and quiet. A man walked over five minutes later, took a seat near me, and began a long annoying conversation in a cloying voice. He behaved as if he had come over to where I was seated so as not to bother all of the other people who were seated together and having conversations. I moved to another area that had only three seats and placed my jacket on one of them. That left only one seat in a room full of empty chairs. A man came over after about five minutes and planted himself in the empty seat. He then began coughing, coughing, and coughing. He behaved as if he had taken the seat near me so as not to bother all of the other people who were seated in a large group. I then got up and took another seat in a row full of empty seats. After five minutes, a man took a seat at the far end of the same row and began violently rocking his seat which disrupted the entire row. After I boarded an airplane, a young man placed his hand on the back of my seat and began pushing and pulling at it. All of those individuals are mentally aggravated and they have a problem with anyone enjoying comfort, peace, quiet, and the pleasure of their own company. In the final instance, I spun around and gave the guy a death glare which brought an embarrassed smile to his face. Why pretend that these sociopaths aren’t trying to f–k with you when they clearly are?